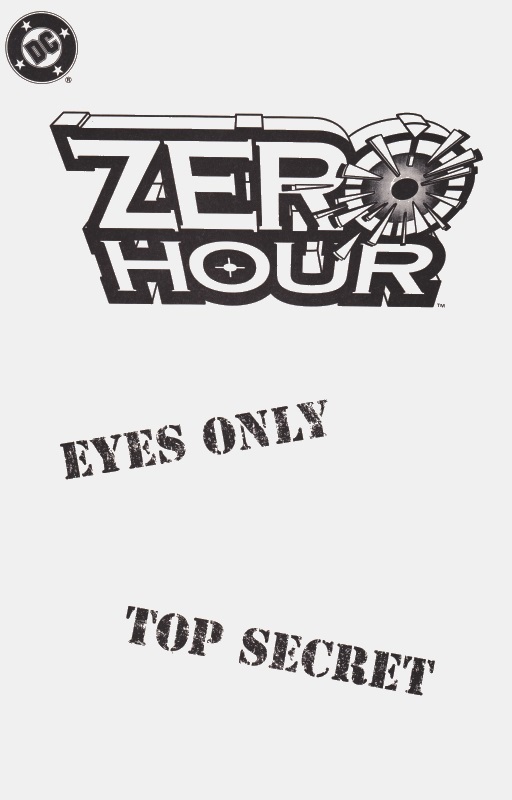 Added a handful of bits and pieces to the site over the last day including a handful of house ads (for Zero Hour, Blackest Night and Bloodlines) as well as a short page giving a brief look at the Zero Hour and the Zero Month samplers. I actually still have that ZH sampler myself. I’m sure there’s debate on how well ZH’s aged as an event, especially considering all the reboots since then, but to me it ZH still holds up as a solid event. Jurgens, I feel, proved he can handle writing big time events with ZH. And despite some nitpicks here or there with certain story beats( like Jurgens swerving the audience by making the Hal the big bad when we were all led to believe it was all Monarch) , I think ZH is a lot better and deserving of love than it’s gotten over the years. Then again, I was 13 when it came out, thus being my CRISIS, so I’m probably a bit biased there. Huh, didn’t think of it that way. I myself didn’t have a problem with the switch, but there’s been quite a few others who felt differently. I didn’t like that the JSA was once again dismantled and put out to pasture, but that was DC/Editorial’s call, not Jurgens. As rough as they got it, he at least allowed most of them to bow out as gracefully as possible given the circumstances. I’m sure that part in #1 or 0 (since they were numbered in reverse) where Hal says he could create an Earth just for the JSA, where they’ll be young again, had to sting for long-time JSA fans. I know it kinda’ did for me too and I was just a casual fan of theirs back then. I still have the first hardcover trade they put out though with the revised timeline. Outdated as it may be, it was very cool of them to include at the time. Check out my Zero Hour front page – there’s a link to an article about Jurgens’ original plans for the JSA. I’m definitely picking up the new ZH hardback when it’s out later this year. Read it. Yeah that would’ve been the more ideal and respectful thing to allow to happen to the JSA, considering how DC “retired them” a few years earlier when they banished them to Limbo, before bringing them back in time for Crisis. That Kurt Vonnegut stuff sounded funny too. Other way around – they banished them to Limbo after the Crisis. DC wanted Roy Thomas to kill them off but he persuaded them to let him write them out of the DCU instead, by makng them fight against Asgardian giants over and over for all eternity. As daft as that was, at least they were still in Limbo years later when DC finally relented and allowed them back. Ah, yeah, you’re right. My b. Even though he was writing them at the time, DC should’ve known better than to ask Mr. Golden Age fanboy himself to kill of the JSA. Good for him for convincing them to serve out their “time” on death row limbo rather than a straight up execution. Do you miss the old ’92/’93 JSA series by Len Strazewski and Mike Parobeck like I do? I can’t say for certain if it was my first exposure ever to the JSA back then, as I also had, and still have, a hardcover reprint collection of Vol.4 of DC’s Greatest Team-Ups, that reprinted the very first JLA/JSA team-up, back during that same time period as well. Bought it while on a family vacation to Universal Studios wouldn’t you know. Anyhoo, even back then, I loved the simplistic, but amazing art and simple, endearing stories. No wonder it was canceled since it was the the very epitome of everything the 90’s wasn’t back then, especially with the Image Comics revolution going on. Yeah, that JSA series was totally different from what was happening at the time, though I found the art a little too cartoony for my liking. The story was enjoyable, though, as they mixed in the next gen/sons and daughters angle as well. Simpler times. Yeah, I can see how the art would be viewed as such, and I guess it was, but regardless, it was still solid as Parobeck was a really, really good storyteller with his art.